A lot of us are rightfully down on the team. The QB play has been ok at home and borderline awful on the road. I’m convinced SL is an idiot (btw, the cowboys ran exactly 4 plays from under center on second down against Wash... those 4 plays went for 57 yards but again SL utterly refuses to stick something that works and insists on shotgun on second down even though it has repeatedly failed to produce results). JG just isn’t a very good head coach and a worse OC. And, the FO still hasn’t learned that it’s not a good idea to trade first round picks for WRs. All I’m saying is there is a lot to be concerned about. We all know that. BUT... the thing that is getting lost in the Cooper trade and the loss of a first round pick is that 2019 was honestly the perfect year to make this gamble. Hear me out. 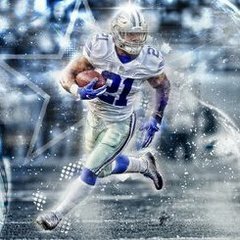 In 2019, the cowboys have 20 of their 22 starters under contract. All 11 starters are under contract on offense. In addition all key reserves are also under contract for 2019. On defense, only DeMarcus Lawrence and David Irving are not under contract. The defense is close to becoming a very good defense and if they created more TOs, they could be dominant. In 2019, the cowboys are projected to be $66 million under the salary cap. https://overthecap.com/salary-cap/dallas-cowboys/ That’s $66 million while returning almost all starters and most key reserves. 2019 is definitely a year Dallas can lean on FA instead of the draft. And there’s a recent history of teams doing just that and being successful. The rams haven’t had a first round pick the last two years. But, in FA and other trades, they were able to add players like Marcus Peters, Aqib Talib, Sam Shields and Suh because they had so much money under the cap. The Eagles went strong in FA in 2017 and it worked. The Pats traded their first round pick for cooks last year then made a big FA signing in Gilmore. Again, I strongly hate the trade, but 2019 is the year to make such a gamble in trading the first round pick because we have the cap space to add quality players in FA in addition to signing their own guys. Those trades only work when everything else is going well though. You dont trade to solve your problems. The Rams changed it up in play calling when McVay came in and that's what lead to a far more efficient passing game. Thus when they trade for a couple more players these were already coming into a comfortable situation so they were already building on a strength. DT wasnt a problem for the Rams with Donald there yet they signed Suh to make the unit even stronger. They traded for Peter's when they already had an effective line of getting to the QB with the front 7 so getting Peter's was not done to hide the weakness of the secondary it was to give the front 7 a little extra time to get to the QB. And Donald I believe is now the current sack leader because of it. There is no strength to our passing game. No redeeming qualities besides Gallup and a little bit of Swaim who just got injured. Again this trade is dependent on so many variables to be successful and the biggest thing working against our receivers is out own play calling. SC play designs are supposed to take advantage of the receivers athletic ability rather than their play ability. I just dont think this plays out like they want them too. On paper this trade makes sense but our coaches have anything but. Mr.Brightside would make sense for the title if it's based on The Killers song and our coaches are turning out tricks. I was thinking something similar, and this is probably the biggest reason the coaching staff and Dak may be safe for another year. It won't be difficult for Jerry and Stephen to be convinced that if they re-sign Lawrence, sign Earl Thomas, etc., this team can be competitive in 2019. They'll be hesitant to blow that up with a new coach or QB. The thing is...a new HC and QB with the talent around them may be what this team needs to actually reach the level where they and we want them to be. Not usually how it works. You don't usually turn over HC without pretty major upheaval. And QB... find me the option that's not, at best, a lateral move for 2019. If we are talking about the long-haul, that's a different conversation. But that likely requires taking some medicine in the short term. But we've been taking the medicine anyway for years now tho. This team can say what they want about adding Cooper to their young core of Dak and Zeke, but the reality is those three players might be taking up 25-30% of our salary cap space in two years, with D-Law and Byron occupying 15-20%. That's entirely untenable given the sizable investment in the OL. The team has to realize this and is now seemingly trying to put together a go-for-it roster for next year. The problem is that they'll likely be sticking with Dak and Garrett as they attempt to "go for it." And QB... find me the option that's not, at best, a lateral move for 2019. I understand the frustration but Fitz magic is good for about 3 games and we would be back in the situation we’re in through turnovers. Sam Bradford looked absolutely terrible for the cardinals who have better offensive pieces than we do with the same boring scheme. Tyrod is probably the only option here that I’d be okay with and a slightly better option. However he is a stop gap. Nothing special about his play and he rarely stretches the field just like Dak. Hence why he was benched for Mayfield because of missing guys deep to take a check down which is still Dak as a player. Honestly Teddy Bridgewater I feel would have been successful here and wouldn’t mind that move. I was shocked when he at least didn’t get the start for the Jets with his preseason play. Do I think we need a new QB? Honestly, yes I do. For me it’s an accuracy and reading the defense issue. But, I’m also a realist and can appreciate that getting a new qb was NEVER going to happen in this draft. Dak will be in year 4 next year and the cowboys were always going to see what he can do on his rookie deal before deciding to move on. Really, there’s no Kurt Cousins FA to go after next offseason and QB was never going to be a first round pick anyway. We are stuck with Dak for at least one more year. I should also point out that there is a possibility for FA QBs after the 2019 season (going into 2020). Granted the QBs that could be available have never lived up their draft status and have their own question marks as well. But if Mariota is available would he be an upgrade over Dak? If so, how much? Winston? All of them are on that 2020 list. I expect them most/all to retire. But maybe Brady wants to take it to his 50s.